The Peterhof complex consists of a set of palaces and gardens that are in the Gulf of Finland (about 30 kilometers west of St. Petersburg) and until 1917 were the residence of the czars. They are known as the “Russian Versailles” and are an UNESCO World Heritage site. If you travel to St. Petersburg, this visit is a must-do. 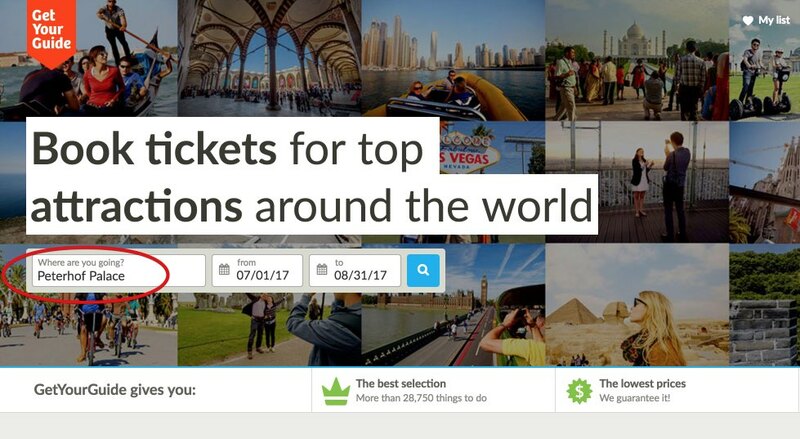 In this article I’ll explain you what to look for, how to get there and how to buy tickets online to avoid lines. 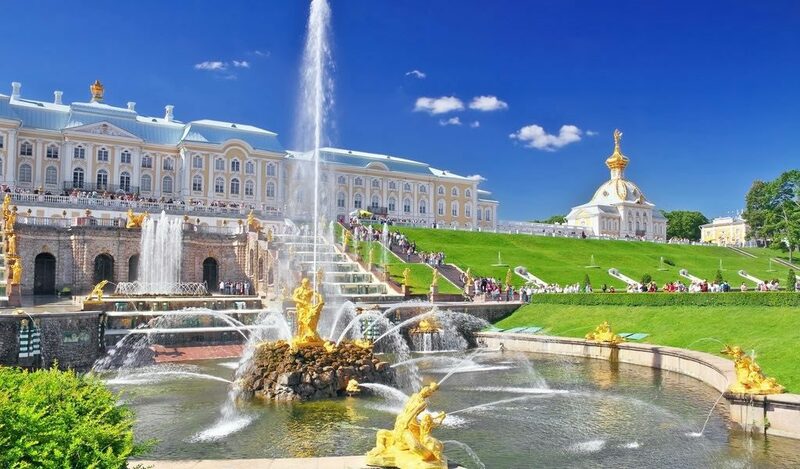 If you are travelling to St. Petersburg, a visit you can’t miss is Peterhof, known as the “Russian Versailles”, which consists of a series of palaces and gardens that were the residence of the czars. In this article I will try to explain what to see in this complex, how to get there (since it is located about 30 kilometers from St. Petersburg), where to eat and how to buy tickets online to avoid lines in the summer season. Peterhof (Russian Петергоф or Петергоф, Petergof) is a town within the Petrodvortsovy district in St. Petersburg, at the shore of the Gulf of Finland, located about 30 kilometers west of St. Petersburg. This small town is famous because in it you will find the palaces and gardens of Peterhof, created by order of Peter the Great. They are also known as the “Russian Versailles” and are considered a World Heritage Site by UNESCO. Until the Revolution of 1917, it was the residence of the Tsars. In 1918 it was transformed into a museum, though during World War II it was occupied and destroyed by German troops. After World War II it began its restoration, which still continues. The center of Peterhof complex is what is known as the Grand Palace (of Baroque style), though something much more spectacular than the palace itself are the gardens and fountains surrounding it, and you can visit smaller palaces and buildings that house museums. The Grand Palace. It is located in the heart of Peterhof. It was the former summer residence of the Russian tsars. It rises above the so-called Grand Cascade and the park below. Other palaces and museums. Throughout the Peterhof complex there are many other small buildings, museums or churches, such as the Palace of Farmers, Marly Palace, the Cottage Palace, Church Wing, The Museum of Collections, The Museum of Playing Cards, etc. Upper Park. It is located at the park entrance and consists of five fountains. You can visit for free. Lower Park. Much more spectacular and whose entrance (which costs 700 rubles) gives access to the room in which you will find the various palaces and buildings, as well as the complex of the world’s largest fountains. It covers an area of over 100 hectares. The water sources used comes from natural springs. Along the Lower Park there are many fountains and waterfalls, such as the Great waterfall and Samson’s fountain. There are also many playful fountains for the children to play. Every day, during the summer season, at 11:00am you can see the launch of the most famous set of fountains, the Great Cascade, which extends from the north facade of the Grand Palace to the marina channel comprising of 64 different fountains and over 200 bronze statues. It is truly spectacular and worth seeing. Tourist train. A small train ride through the park of Alexandria. From 10:00 to 18:00 hours, from May to October. Audio guides in museums (in Russian, English, German and French). The audio guide for the Great Palace costs 500 rubles, while the audio guides of other buildings and museums cost 200 rubles each. Interactive audio guides in the Lower Park (in Russian, English, German and Spanish). Accessibility. You can rent wheelchairs for the disabled. In addition, throughout the park there are small kiosks and Russian fast food locales. It is also possible to eat outside the complex in any of the multiple restaurants. Mobile applications. There is a free mobile application called Viva Peterhof! (Both in android and iOS), with maps and explanations of the complex, though it doesn’t have very good scores and it is only in Russian. You can get there by land (cheaper but takes longer) or by sea (more expensive but faster). My recommendation is to arrive by land to begin the visit in Upper Park (free), and accessing the Lower Park (buying the ticket online costs 700 rubles), spend the day at Peterhof visiting the gardens, fountains and palaces that interest you and return by sea with the Hydrofoil (which leaves you at the pier opposite the Hermitage). Metro + Bus. There are several options, either by bus or minibus, depends on the metro station that catches you closer to the red line. The bus tour can last about 40 minutes, to which you must add the Metro ride. The buses will leave you in the Upper Park. The bus tour is inexpensive (about 75 rubles). From Avtovo metro station: Minibuses 224, 300, 424 and 424-A. Buses: 200 and 210. From Leninskiy Prospekt metro station: Minibuses 103 (K-224) and 420. From Prospekt Veteranov metro station: Minibuses 343y and 639-б. In Baltiyskiy train station, you can also pick the commuter train to New Peterhof station and there are several buses that will take you in 10 minutes: buses number 344, 348, 350, 351, 352, 355 and 356). Direct taxi. Another more direct option to get to Peterhof by land is to take a taxi. It is a more expensive but more comfortable, and ideal option if you are a group o 3-4 people. It costs about US$ 25. 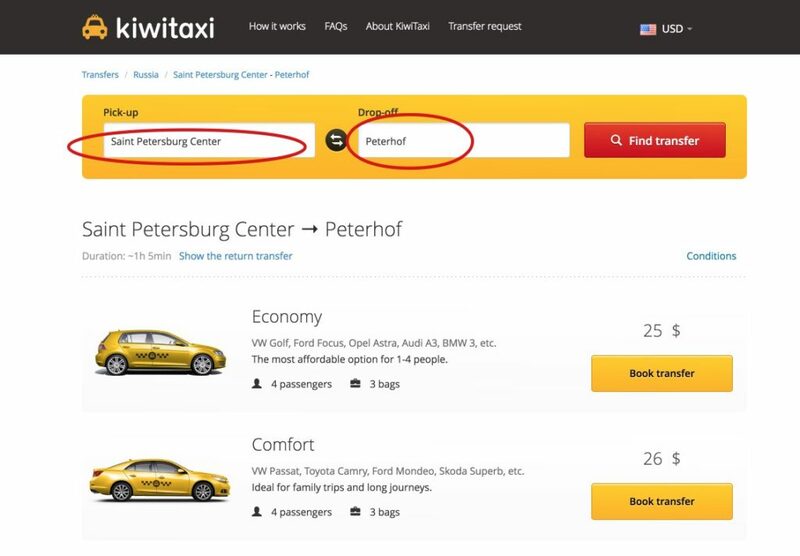 It can be contracted online in advance with any taxi company, such as Kiwitaxi. Direct boat. 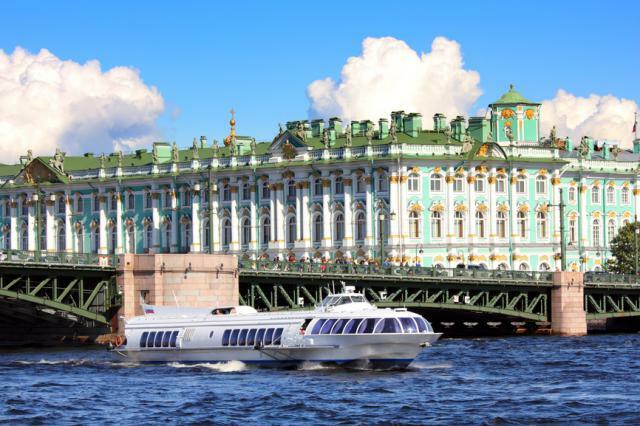 It is also possible to go to Peterhof with Hydrofoil, a fast boat that is caught at the pier opposite the Hermitage and it takes about 30 minutes to arrive. Each trip costs 700 rubles per person (300 rubles for children from 3 to 12 years old) and is the fastest and most direct (but also most expensive) way to get to Peterhof. It leaves you at the pier of Peterhof, where there are ticket offices where you buy a ticket to enter the Lower Park (though in summer it is better to buy them online in advance to pass directly through the turnstiles and avoid lines). 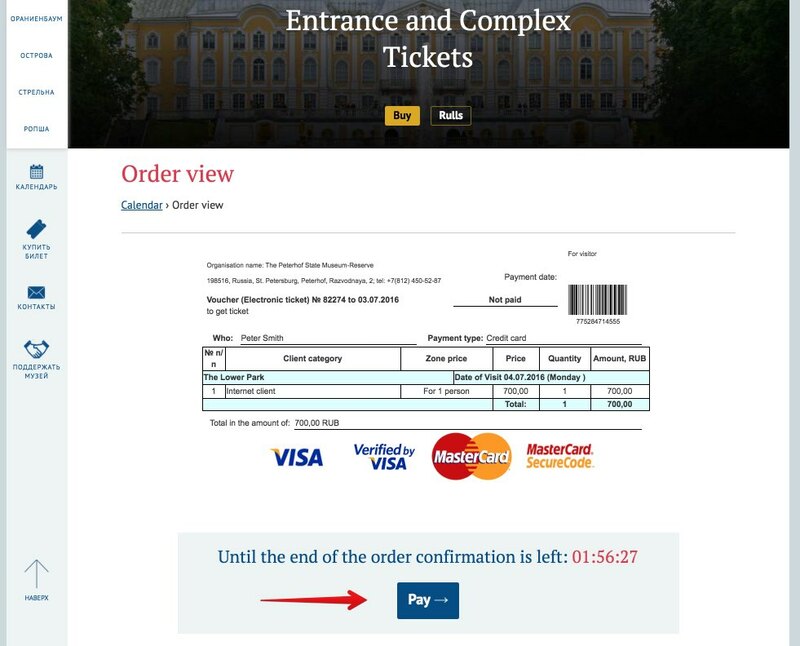 The Hydrofoil ticket can be purchased online (http://en.peterhof-express.ru/) but I think it is not worth it since you can do it directly at the ticket office of the pier (there is usually no line) on the same day that you will visit (either for departure or for arrival). They depart every day from 10am with a frequency of 15-30 minutes between each trip. Since lines in summer can become long, it’s worth buying tickets online to enter the complex, or rather, the entrance to the Lower Park below, where the most spectacular fountains are located, as well as all constructions in the complex, which also require a different entrance ticket that can be purchased once inside the Lower Park. The busiest days in Peterhof are those of the summer season, especially since the official launch of the fountains (inaugurated in May), the white nights (June and July) and the season ends with the fountain festival (mid-September). Throughout the day, the peak times can be seen around 11 am at the time of starting up of the Grand Cascade. The busiest days are Saturdays and Sundays, which are to be best avoided in summer. As you arrive by land or by sea, you have ticket offices available in both the Upper Park as well as in Peterhof pier. Lower Park. It costs 700 rubles and gives access to the gardens and main fountains. The tickets can be purchased online and come with a bar code that you just have to go through the turnstiles to enter the complex (you don’t have to redeem them). Whether you access by bus or boat, you will have the opportunity to pass directly through the turnstiles with the printed bar code. You can take your ticket on your Smartphone or Tablet, but in this case must you redeem it at the ticket office for a printed one. The Lower Park is open from 9:00 to 20:00 hours (on Saturdays it closes at 21:00). The fountains usually start work at 10 am. The Grand Cascade and the Samson fountain start working at 11 am during the summer season. From 12:00 to 14:00 hours. At this time the lines can be very long. From 16:15 to 17:45 hours (till 19:45 hours on Saturdays). In the afternoon it’s better to visit the palace because are usually shorter lines. The palace is closed on Mondays and the last Thursday of each month for cleaning. Tip: If you do not intend to visit the Grand Palace (if you do not have much time, the gardens and fountains are much more interesting to visit than the Grand Palace), then Monday is a good day to visit Peterhof, since with the palace closed, the gardens and the majority of attractions are open, and tour groups tend to avoid these days. In short, you will find less crowds. The other museums. To visit other museums scattered throughout the resort, you can also purchase the tickets online, but note that in this case you will get a voucher that must be redeemed on the same day of the visit at the museum ticket office. 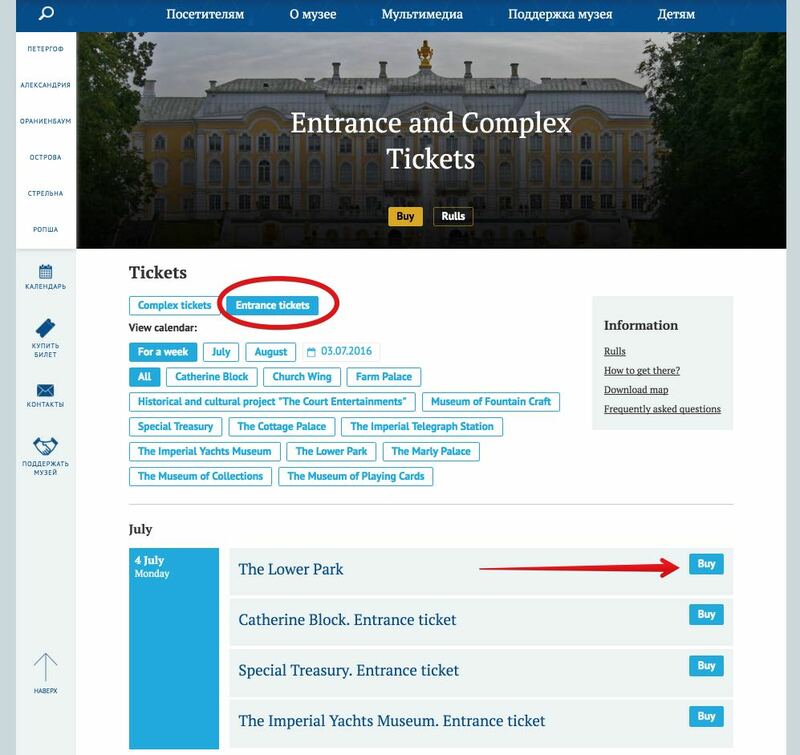 Tip: given that other museums don’t usually have many lines, it is better to buy tickets the day of the visit, though the decision will depend on you. Note that the Peterhof complex is very large and it’s impossible to visit all the museums in a day, and also visit all the gardens. It is therefore important to plan ahead defining which areas to visit first, the palaces or parts of the park. Teens under 16. They have free entry. These can’t be obtained online. To get them you have to jump the ticket lines of Lower Park: the ticket offices in Razvodnaya square (ticket offices 1 and 2) Palace Square (ticket offices number 8 and 9) and in the pier (ticket office number 5). If the minor’s age is near 16 years old and it’s not very clear then they will request some document (DNI/ ID card, for example) to justify the birth age. Tip. 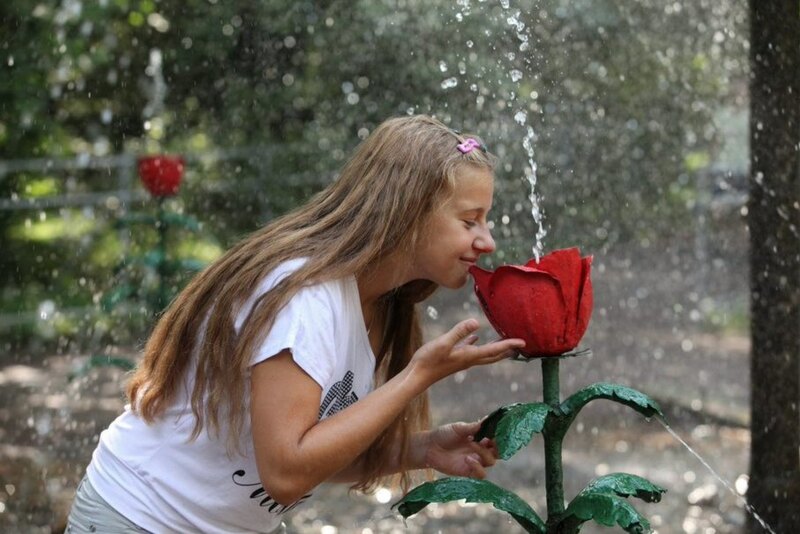 If you go with kids, they will enjoy a number of fountains with water games aimed at children. We note that it is easy to end up totally wet, so it’s a good idea to bring spare clothes. Other free or reduced price entries. For other free or reduced price tickets (disabled, students, etc. ), you will have to get in the general line and when your turn comes, you will need to display the document that justifies the reduced entry. 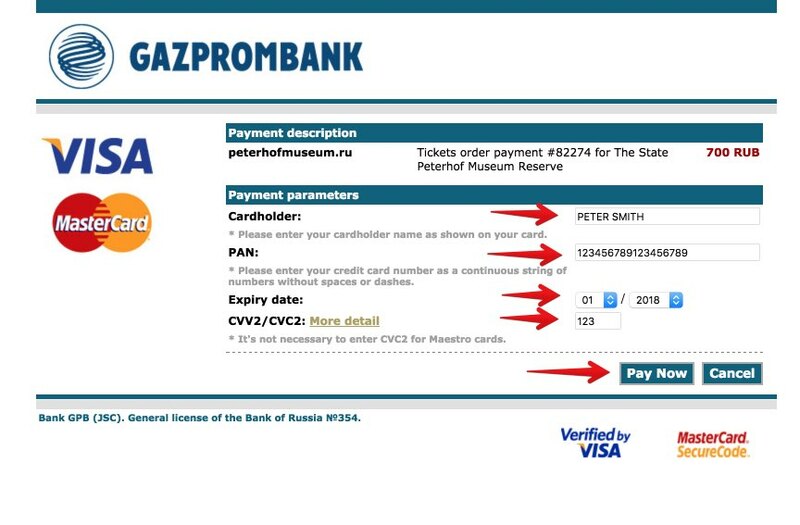 Tickets can be purchased on the Peterhof website (Russian and English) or via the GetYourGuide website. 2. 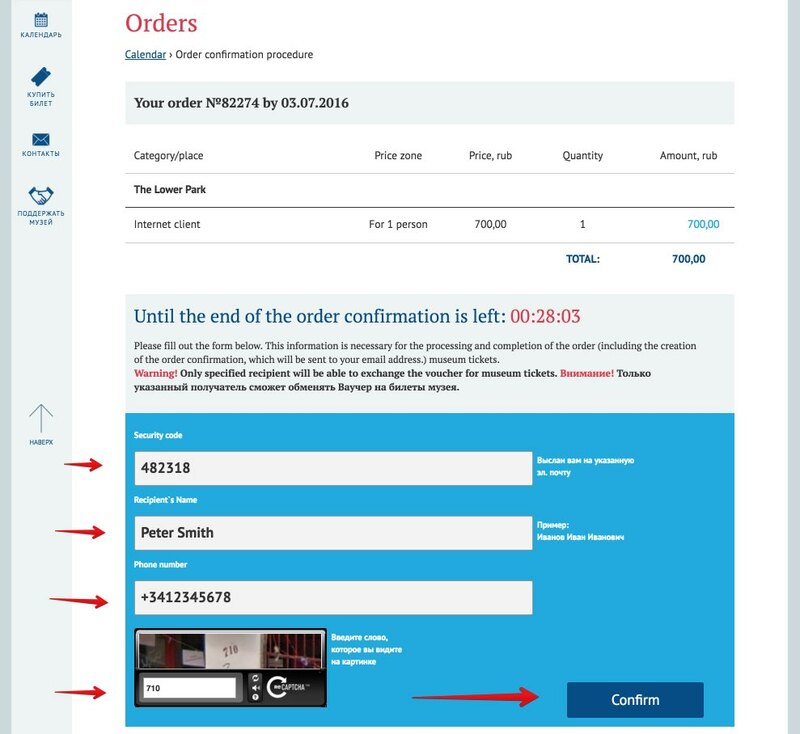 Choose the number of entrance tickets, accept the purchase conditions and enter your email address to which they will send a verification code. 3. Enter the verification code, your name, phone number and the antispam question. 4. Confirm and make payment by credit card. Note. If you have bought the ticket but you can’t go the day set in it, you can request a refund. 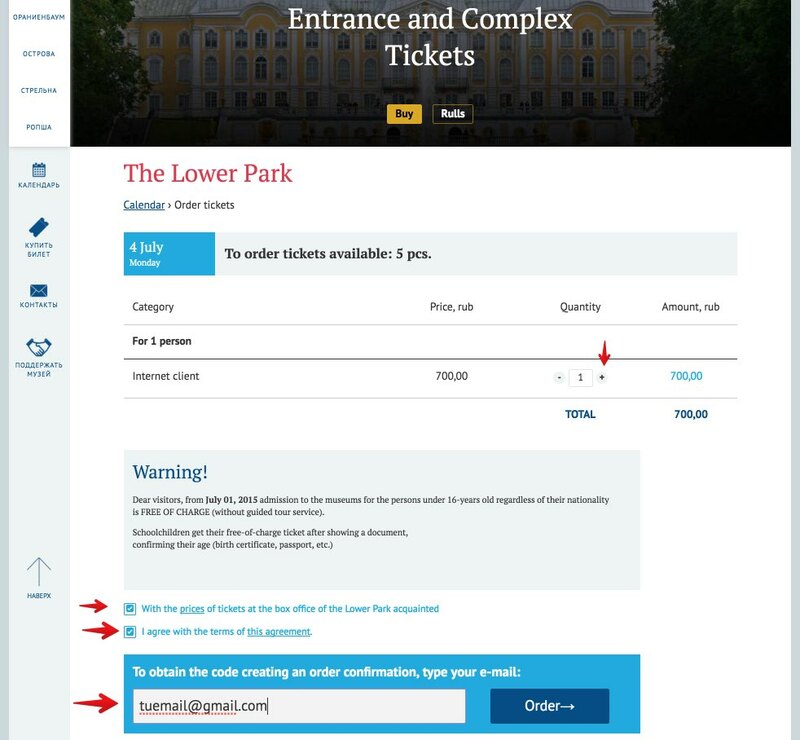 For this you must fill out a form, you’ll find it in this link: https://tickets.peterhofmuseum.ru/en/rules, and send it to the e-mail electrónicobilet@peterhofmuseum.ru. They will return the money to your credit card within 10 days.